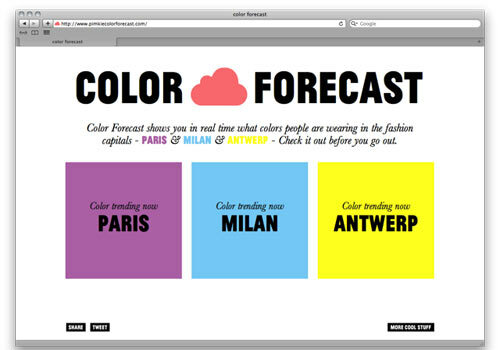 Is it possible to forecast the next hot color trends? 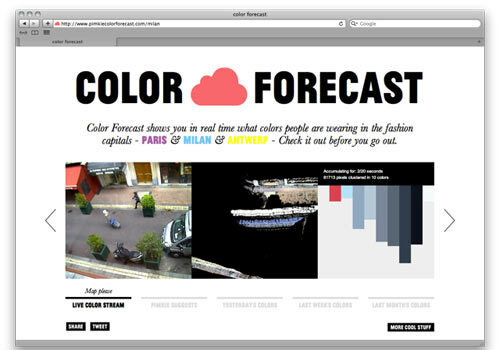 Pimkie Color Forecast thinks so; it shows you in real time what people are wearing in Europe’s fashion capitals. High definition cameras were installed in the fashion capitals of Europe (Milan, Paris, Antwerp) and then connected to computers with color tracking software developed by Pedro Cruz. 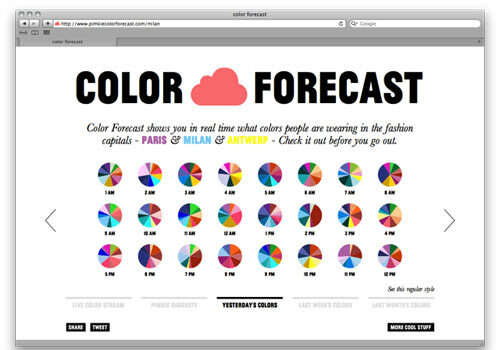 The software analyzes the passing colors and shows in real time which colors are worn most often, then the colors are compiled into an infographic to see how trends evolve.